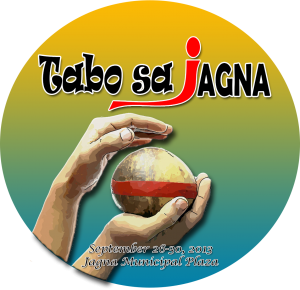 The Jagna Sustainable Micro-enterprise and Development Unit is a provision in the recently approved Gender and Development Code of the Municipality of Jagna. The unit shall be further established through the enactment of an ordinance for its creation and institutionalization. A sustainable, competent, and committed unit in the Local Government of Jagna dedicated to the provision of quality and gender-responsive services for improved quality of life of Jagna’s micro-entrepreneurs. Assist in the promotion of equal opportunities and access for women and men in business information, financing, policy, and technology. Alignment with national and local government goals. JASMED’s services should be consistent with the development goals of the municipality and compliant with current municipal land use and development plans. Competence and Professionalism. JASMED personnel should be multi-skilled, dependable, knowledgeable, and committed with productivity, moral and distinctive competence in work. Quality Service. JASMED shall strive to offer quality service to clients at all times. To JASMED, its clients are their most important resource. Gender-Responsiveness. Programs and services in JASMED are gender-responsive and its staff, gender sensitive. Care for the Environment JASMED promotes enterprises that are environmentally-friendly and nurturing. Tertiary clients – are groups and individuals that are not yet in business but are in the process of or interested to establishing a new enterprise. FIRST priority are those businesses with capitalization up to P150,000. All other business with capitalization of up to P1.5 million pesos are considered second-priority clients. Services of the unit are also classified into two. The core services and demand-driven services.